The Naturopathic Care Centre is located at 288 Wellington Street. We have two spacious treatment rooms, a dispensary carrying professional brands of supplements, and a comfortable reception area. There is ample parking is located beside the building. New patients are always welcome. 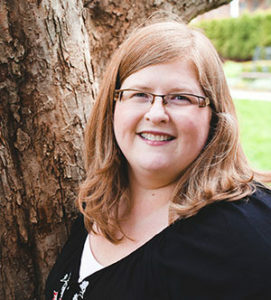 Dr. Carrie Meszaros, N.D., R.Ac. is the Naturopathic Doctor and Acupuncturist in our clinic. 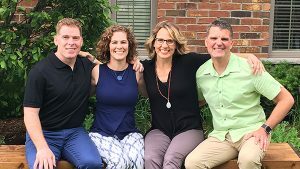 Our building is also home to Stratford Chiropractic & Wellness Centre which is comprised of a team of four chiropractors, two registered massage therapists, and a physiotherapist. Dr. Carrie Meszaros, N.D., R.Ac. I am originally from Paris, Ontario. Digestive health issues throughout my teens and university years led me toward an interest in Naturopathic Medicine. After unsuccessfully looking for answers conventionally, I looked towards natural health care and found answers and tools to heal my body. My health improved dramatically after identifying foods that were the cause of my chronic symptoms. I love helping other people find solutions to their unexplained health challenges. My practice is a general family naturopathic practice. I have special interests in helping patients improve their digestion, energy, mood and their hormonal health. Healthy hormonal balance may include optimizing fertility, minimizing period related symptoms, managing perimenopausal issues, improving thyroid function or a combination of any of these concerns. My university training was completed at the University of Guelph, where I received an honours degree in Bio-Medical Science. Following university, I received my naturopathic training at the Canadian College of Naturopathic Medicine (CCNM) in Toronto, Ontario. 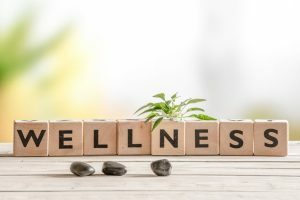 I am registered with Ontario College of Naturopaths and am a member of both the Ontario and Canadian Naturopathic Associations (OAND and CAND). 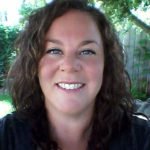 I moved to Stratford, Ontario in 2001 to begin my naturopathic practice. In 2003, I opened my own clinic The Naturopathic Care Centre. Acupuncture has been part of my naturopathic practice since 2001. When the new regulatory body for acupuncturists was formed in 2014; I became licensed as a Registered Acupuncturist with the College of Traditional Chinese Medicine Practitioners and Acupuncturists of Ontario. In 2015, I completed the Ontario Prescribing and Therapeutics Course and Exam to allow an expanded scope of naturopathic practice that authorizes me to therapeutically prescribe thyroid medications, bio-identical hormones and higher doses of some restricted natural substances. I am married with two teenage stepdaughters and two young children, a son and a daughter. We live in beautiful Stratford, Ontario. I enjoy time outdoors, spending time with my family, learning more about natural health, photography, and spending time in the kitchen exploring and experimenting with new recipes. If you aren’t feeling your best and would like to try a different approach, I would like to meet you and work with you to improve your health. Please feel free to give my office a call or send me an email if you have any questions about whether I can help you. If you aren’t quite ready to book an appointment yet, feel free to explore the information on our healthy living resources pages. You could also join our newsletter mailing list or like us on facebook to stay up to date on our clinic and have access to free health related articles. Lynda Barker joined our clinic in 2017. Prior to working with us, she earned her Health Care Aide diploma, and enjoyed caring for the elderly for many years. She has also worked in retail for several years. Lynda lives in Tavistock with her Husband, and they have three children, a daughter, and 2 sons. Their family also has a treasured pet, a cat named Nibbler. She enjoys spending time with her family. She enjoys playing games, photography, cooking, baking, biking, and Zumba. Lynda is very excited to be a part of The Naturopathic Care Centre. Aimee Plimmer has been one of our receptionists since 2015. She has a diploma in Medical Administration and has worked reception for many years at a Veterinary Clinic and the London Humane Society. Aimee loves learning everything to do with plants and loves to garden. 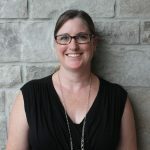 She enjoys living in Stratford with her Husband, Son and dog, Bindy and is excited to work at the Naturopathic Care Centre and become part of the community here in Stratford. Marilyn and Aimee are happy to book your appointment, and answer any questions that you may have. or fill in our online form. At Stratford Chiropractic and Wellness Centre, there is a wonderful team of health care providers who can play a part in helping you reach your health care goals.There are four chiropractors, Dr. Tanya Chambers, Dr. Mike Chambers, Dr. Pip Penrose and Dr. Blair Neely; two registered massage therapists, Lynann Bernard and Paul Rhodes and one physiotherapist Derek Stephens. © 2003-2019 The Naturopathic Care Centre. All Rights Reserved.